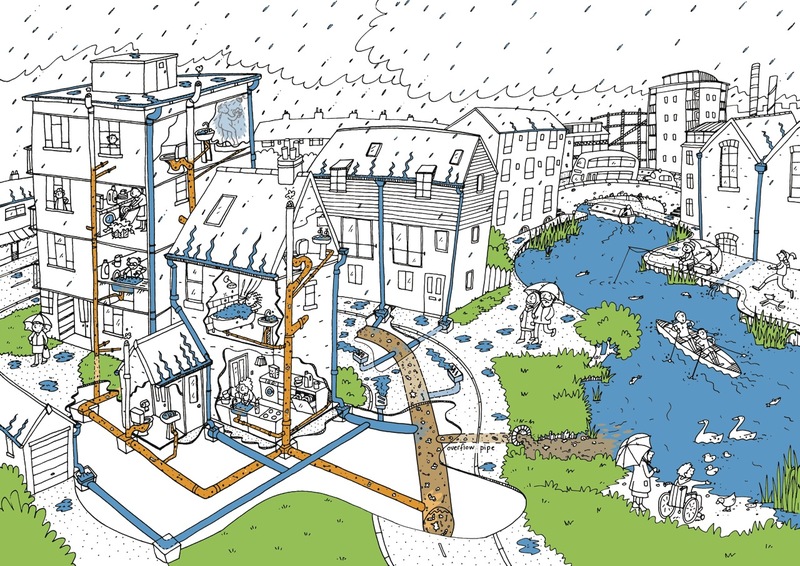 In a combined sewer system all of our wastewater and surface water goes into one pipe like the illustration above. This pipe takes everything to a sewage treatment works for processing. When it rains our sewer system cannot cope with surface water in addition to our waste water and this results in a sewage overflow. The more rain that enters sewers the less room there is for sewage. A combined system is designed to overflow into a river instead of back-up into streets and homes.It is estimated that untreated sewage and sewage related debris is discharged into our rivers at least once a week. In the last 3 years Thames Water has spent £715 million on upgrading 6 Sewage Treatment Works across London so that they can cope with population increases up to 2021. With this significant investment now is the time to start intercepting the rain that also ends up in sewer pipes. The more rain we can stop getting to the sewage works the longer the extra capacity will last. 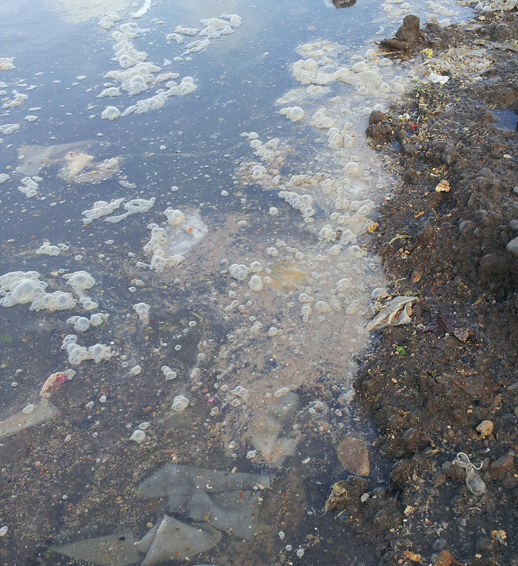 If we slow the rain down we will cut the risk of these sewage works overflowing and polluting our rivers. But what will happen after 2021? 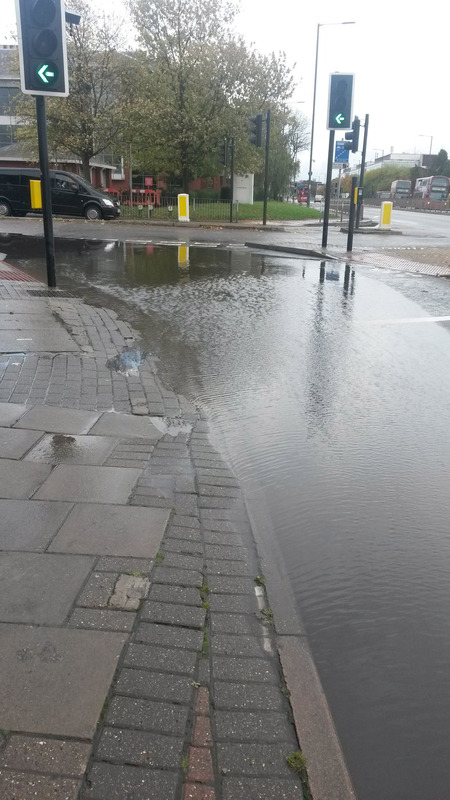 Thames21 believes that we should prevent as much rain getting into sewers as possible. It starts of as fresh water, turning it into dirty water makes no sense. In Portland, Oregon 35% of rain was prevented from reaching sewers using natural systems. We can use green drainage in London. If we can incorporate these natural systems (sustainable drainage systems (SuDS)) into our infrastructure we could extend the life of these upgrades. This would reduce the amount of rainwater entering the treatment works and prevent future possibility of sewage overflows. As well as this, our city has undergone development; urban creep means that many of our permeable surfaces have vanished beneath the concrete and this prevents rainwater entering the ground water. Instead it runs off into our sewers taking with it the many toxins that settle on our roads, or it accumulates on the surface. In extreme cases this results in surface water (pluvial) flooding.